"The earliest representation of a unicorn is found on seals and sealings from sites in the northern Indus region, dated to c. 2600 BCE." writes Jonathan Mark Kenoyer. 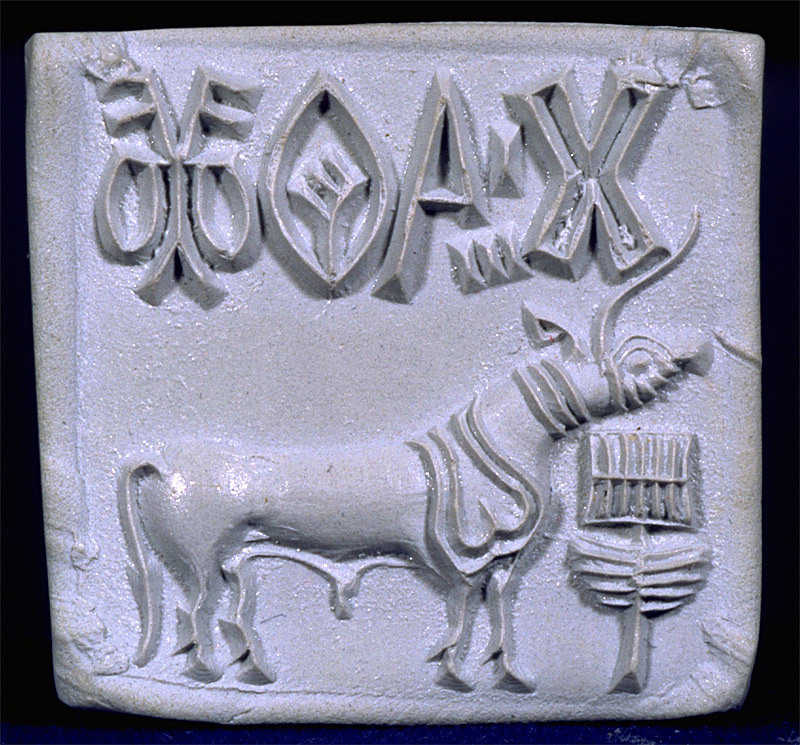 "This motif is not reported from any other contemporaneous civilization and appears to be unique to the Indus region. 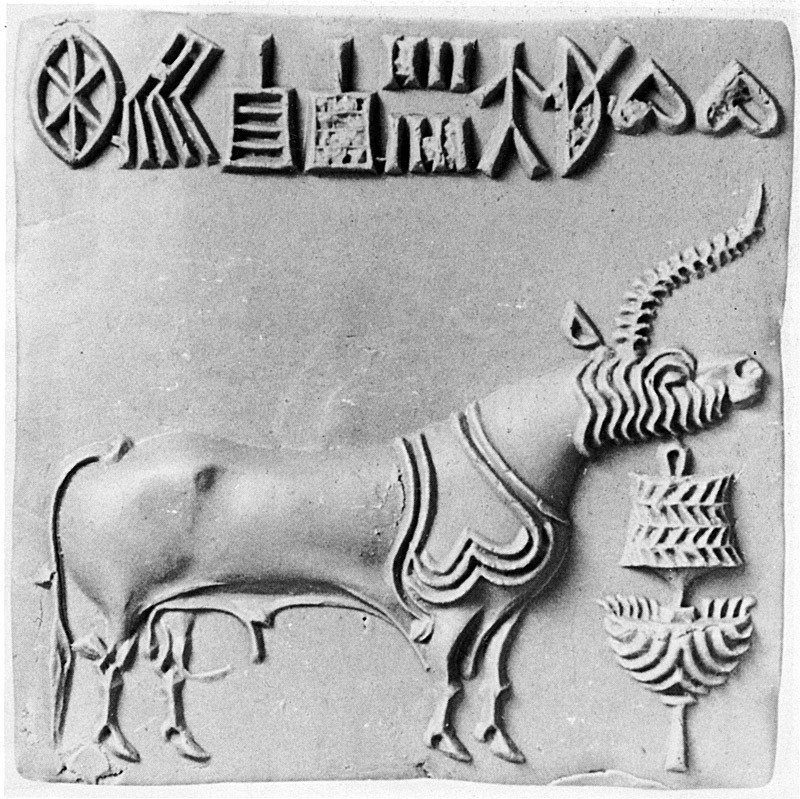 The unicorn motif continued to be used throughout the greater Indus region for over 700 years and disappeared along with the Indus script and other diagnostic elements of Indus ideology and bureaucracy c. 1900 BCE (Kenoyer 1998; Possehl 2002). 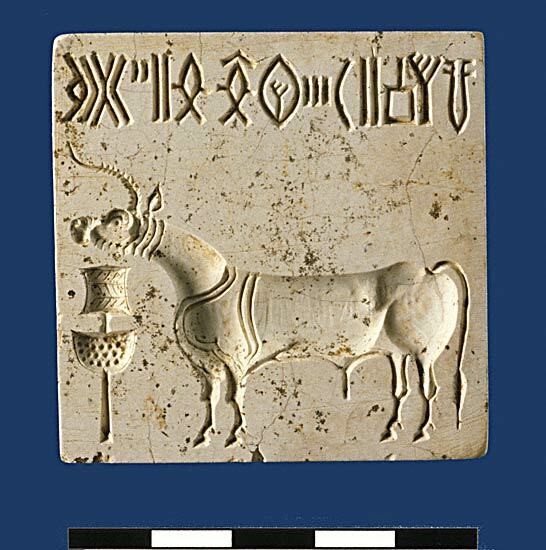 The unicorn motif found on seals and other forms of Indus iconography has some basic standard elements but also shows considerable variation in minor aspects of decoration and engraving." "Based on preliminary studies by various scholars, it appears that unicorn stylistic patterns may reflect workshop and artists's idiosyncrasies, as well as regional variations (Franke-Vogt 1991, 1992; Jamison 2012, Kenoyer 1997, 2009; Rissman 1989). There also appears to be some change over time that may indicate changing conventions in the representation of the unicorn itself." "No representations of unicorns on seals or as figurines have been reported from Early Harappan sites, and the appearance of this motif seems to be closely linked to the Harappan Phase of the Integration Era (2600-1900 BCE)." "Although many aspects of Indus culture were adapted and modified in later periods, the unicorn motif developed by Indus artists did not re-emerge in later South Asian iconography. After a considerable hiatus, the unicorn motif does re-emerge in the regions in West Asia and eventually Europe, East Asia, and possibly Tibet (Hathaway 1980; Lavers 2010; Shephard 1978). Yet, these authors do not cite the Indus unicorn representations, and at present there is no clear link between the Indus and these later unicorn representations." Excerpted from Iconography of the Unicorn: Origins and LegacyConnections and Complexity, New Approaches to the Archaeology of South Asia, Left Coast Press, Walnut Creek, California, 2013, p. 107-110). 1. H-10 Sealing. A sealing is the positive imprint made from an incised seal in clay or plaster or other soft material. Note how close the sacred object is to the neck of the creature in the two sealings, 1. and 3., and on the seal example, 4. 2. Ernest Mackay writes (1931): "The boss was then carefully rounded off after the groove that always runs across its center had been roughly made by a V-shaped cut. The rounding of the boss was apparently done with a knife and finished off with an abrasive, after which a hole was bored through it from opposite sides to take a cord." 3. Seals were used to make a sealing, or positive imprint, like this modern resin one made from the original seal. 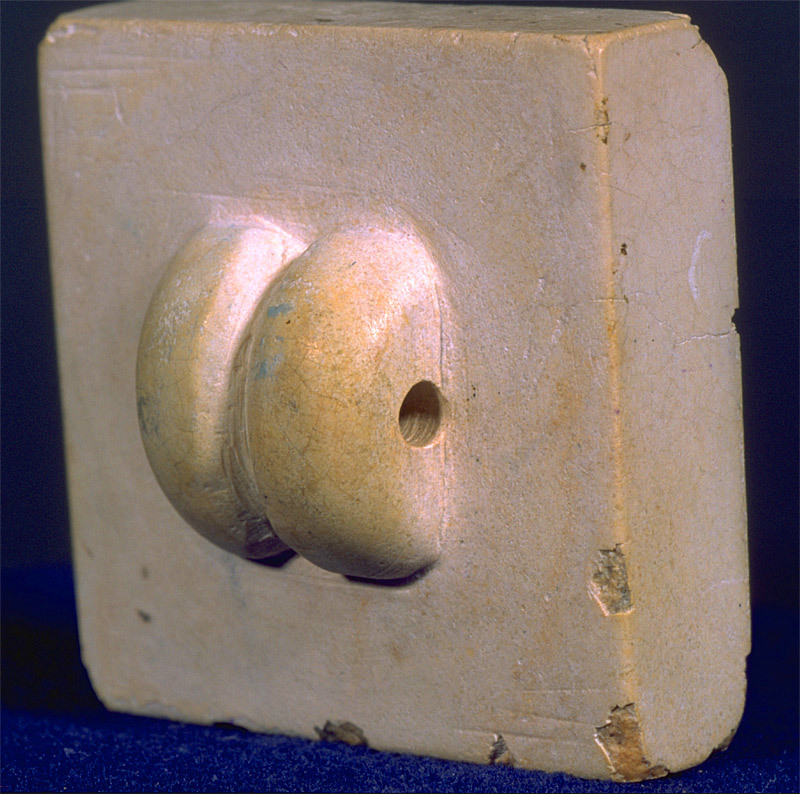 Sealings were used in ancient times for trade. They would be made on ceramics or the clay tags used to seal the rope around bundles of goods. 4. Large unicorn seal (H99-4064/8796-01) found on the floor of Room 591 in Trench 43, dating to late Period 3C. This is one of the largest seals found from any Indus site.